Does "A New TV Experience Really Awakens" As Claimed by Sony BRAVIA With The Unveiling Of New 4K HDR TVs In A8F And X9000F? 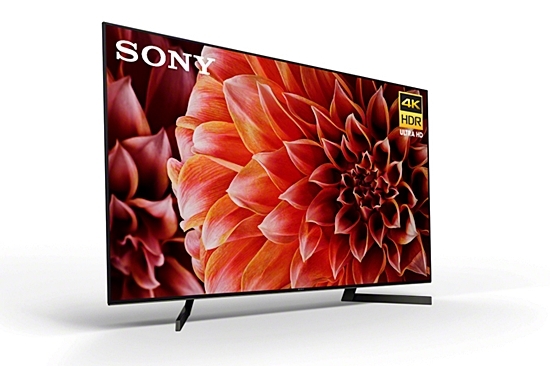 Sony has announced an update to its BRAVIA range of new and expanded 4K HDR television series - A8F and X9000F - designed to deliver enhanced contrast, colour and clarity, thanks to Sony's proprietary innovations! The new 4K HDR OLED TV spots a minimalist design that gives it a clean and timeless look that harmonizes with the space surrounding the TV and comes in 65 inch and 55 inch display. Apart from the above-mentioned, sadly, there were NO notable technological upgrade, following the success of Japanese multinational conglomerate's first OLED TV release of A1E series last year. While I understand, as a trained engineer, it takes a lots of time and effect for the R&D team to develop new improvement to the already impressive picture clarity and on-screen noise reduction thanks to the its cutting-edge 4K HDR Processor X1™ and the even more impressive Acoustic Surface™ technology that produces sound directly from the screen; BUT by introducing a whole new model, with an almost identical technical specification, all inherited from XBR77A1E, which is the recipient for CES2018 Innovation Awards under Video Displays category, might lead to potential media backlash and possible product cannibalization. Equally puzzling is the absence of the 77 inch display from the A8F offer. The other new range of BRAVIA that was unveiled at the same time with A8F was the X9000F. Designed as an update to X9000E series to meet the increasing customer needs for a wider variety of large premium 4K HDR screen TV, the new X9000F series is available in the massive 85 inch 4K HDR LCD display on top of 49 inch, 55 inch, 65 inch and 75 inch option, as in previous series. The highlight of X9000F is the improved motion blur management for sports and fast action scenes that is a common problem for large screen TV and thanks to the new X-Motion Clarity technology that was demonstrated at the event, all fast action scenes look smooth, bright and clear. 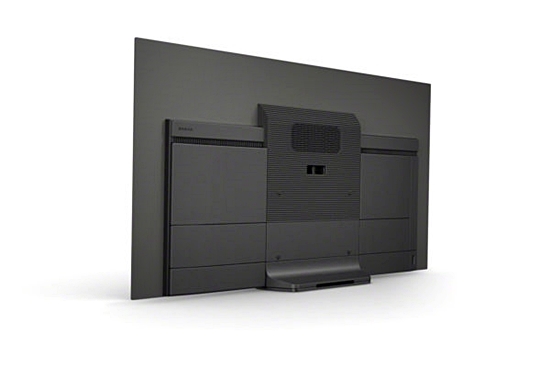 X9000F series also spots the same cutting-edge 4K HDR Processor X1™ in A8F that promises to reproduce greater depth, texture and more realistic pictures with exceptional contrast and more accurate colours. While sound bar and the idea of mimicking a real cinema at home experience is not new, the new X9000F series is designed to work seamlessly with Sony's new Dolby Atmos®/DTS:X™ soundbar with Vertical Sosund Engine - HT-X9000F - to bring audio and visual pleasure to the next level at the comfort of home. Like the earlier sound bar systems offered by Sony, HT-X9000F continues to support both USB and Bluetooth wireless technology that allows user to play or stream songs from his/her mobile device. 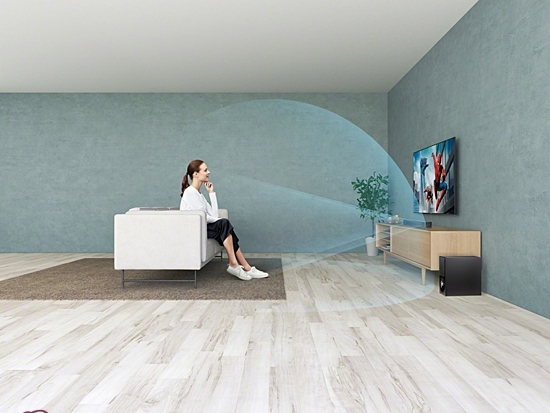 Both BRAVIA A8F and X9000F series will supports Dolby Vision, the latest HDR format from Dolby Laboratories and are second generation of Sony's Android TV. While the price has yet to be released, both series will be available in Singapore by 2nd Quarter of 2018. In my opinion, Sony has certainly invested in the right direction in making its BRAVIA smart TV smarter by partnering with Google. With Google Assistant now built in to all Sony's Android TV, the user can control the TV and its connected Google Assistant compatible devices, by simply press the mic on the remote controller and talk to it! From the demonstration at the event, the integrated system did look responsive and easy to use but I wasn't sure if I would want to introduce more bacteria to one of the dirties home appliance around!! 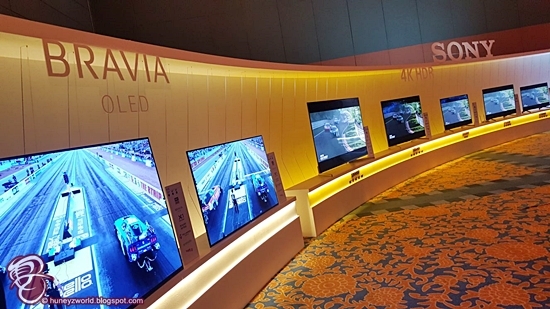 While the new OLED 4K HDR TV was a let down, overall with the new technologies that Sony has been rolling out this far, I am confident that BRAVIA TV is certainly heading in the right direction in bringing a new TV experience to its users.